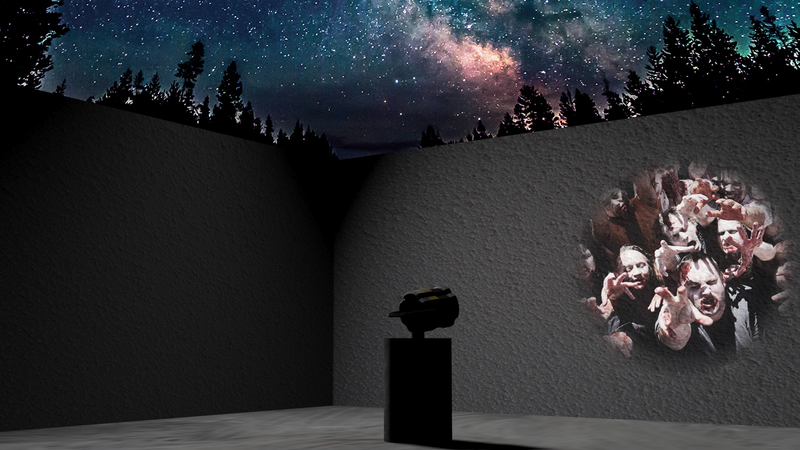 This interactive video installation uses 3D landscapes video mapped to the surrounding environment. A “spotlight” attached to an Arduino board controls a virtual light source that illuminates the virtual landscape on the real world. 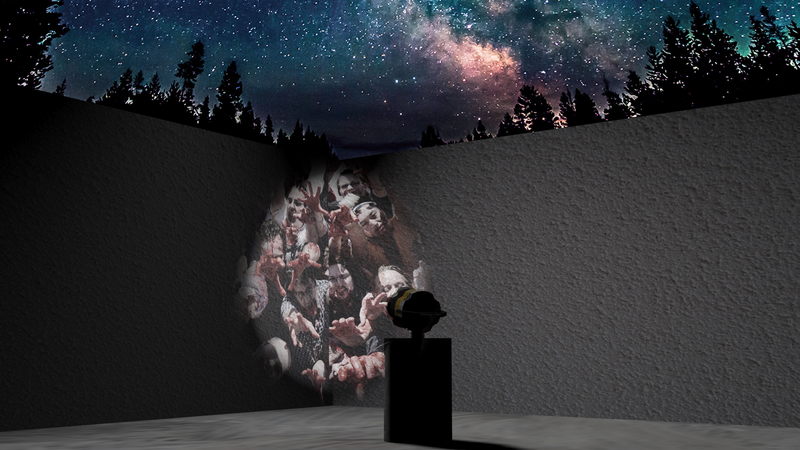 As audience members turn the “spotlight”, the video projection reveals scenes of wonder and horror. The title “Secrets of the Invisible World Revealed” refers to the 1729 book by Andrew Moreton, where he “shews the Universal History of Apparitions Sacred and Profane Under All Denominations Whether Angelical, Diabolical, or Human-Souls”. For a PDF proposal with more installation info go HERE.